With the demands for your time and attention these days, it can be difficult to find time in the day to exercise. Actively commuting to work is a very efficient way to fit in your exercise. 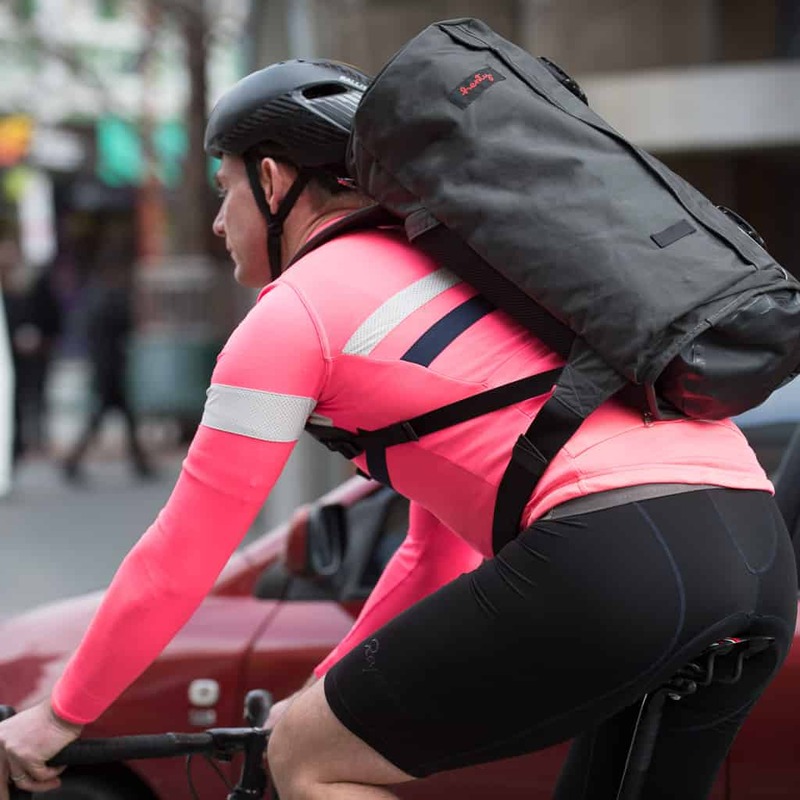 We recommend the Wingman Backpack when your commute is greater than 30 minutes or if you are running or walking. Large cities are becoming more congested, giving rise to increased likelihood of delays when traveling by car, bus, trains and trams. Actively commuting makes it easier for you to navigate your way around congestion and get to where you need to be sooner. Once you’ve commuted a few times, you’ll be in a unique position to guarantee your departure and arrival times. If you actively commute to work, you have an opportunity to disconnect from the world. More and more we are hearing about the benefits of getting away from phones even if it is just for an hour or so. Physical activity has long been known to improve your mental health. Actively commuting to and from work gives you an opportunity to think through and solve problems, as well as relieving stress and tension resulting from a busy day. Getting sick is never on anyone’s to-do list. Avoiding confined spaces, packed with other people, eg. public transport, is a great way to minimise the risk of getting ill during the year, particularly flu season. We recommend you get changed in the office, and transport your formal clothes home in your Wingman at the end of each day, or week. New research is showing physical activity changes the brain in ways that protect memory and thinking skills. Having more cyclists, runners and walkers out and visible will ultimately make it safer for those who actively commute. More cyclists on the roads mean the more drivers expect to see them and they will drive accordingly. More cyclists eventually will result in better infrastructure, which in turn will result in even more riders. Actively commuting can save you money on public transport or associated vehicle costs as well as minimising any healthcare related costs. If you purchase one of our products, it will more than pay for itself! No Replies to "Why we should actively commute"